All aboard! Next stop… The Land of Awesome. Let’s face it, the Caribbean is too crowded and the flight to Fiji takes too long. Paradise can be wherever you make it. 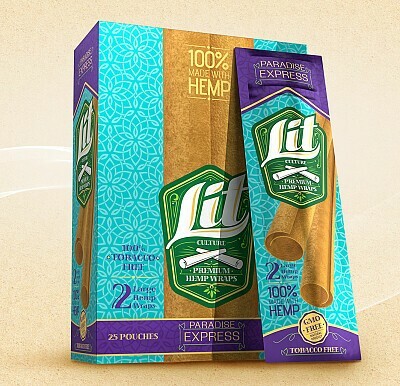 The tropical flavor infusion in this Lit Premium Hemp Wrap acts like an instant transport to a better world. Like paradise itself, there’s no nicotine here, no chemicals, no GMO’s. Just organically grown hemp, clean for an excellent smoking experience and double-layered for a relaxed burn. It’s easier to roll and holds your blend securely so complications don’t harsh your mellow. You don’t need flashing lights and pounding music to get lit. Paradise is right in front of you.